We Love Helping Home Buyers! 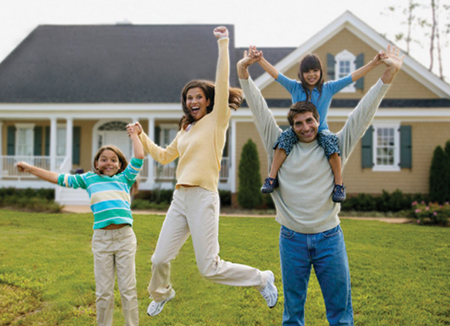 Buying a home is a major step in anyone's life and we take our responsibilities seriously. We've been there ourselves and understand the importance of making sure our buyer clients are comfortable and informed through the entire process. ​You can trust us to represent your interests throughout the transaction by first, communicating with you so that you always know the next step, negotiating for you on your behalf so that you are able to buy at a price you agree to, and guide you through the inspections and closing process so that you are comfortable with your purchase. Based on our many years of experience, both professionally and personally, we have developed a system of working with buyers that keeps us close so we're there when you need us. We know part of the fun of home buying is exploring, so we are there to anticipate your needs and help you through the process. We'll give you all the tools to help you make sure you find the home you love! When you've found your dream home, it's then time to make sure it's a sound buy. We have a network of trusted service providers including home inspectors, pest inspectors, lenders, title companies, and home warranty providers that will make sure your purchase is a safe one. We will help you interpret all inspections and reports and help negotiate any items that should be remedied. How to Make Your Home Buying Experience a Good One! We have a complete library of videos produced to give you all the information you'll need to successfully list your house for sale. ​You can visit the Home Seller Playlist on our You Tube Channel at this link. Let us know the best number to use in order to reach you. Let us know the most convenient time to reach you. Let us know your questions so that we are better able to help you.